Once knob twiddlers who kept to the shadows, the modern day pop producers are a breed apart—writing songs, mining beats and creating hits. The year The Beatles broke up, a magazine asked John Lennon if their producer George Martin contributed to their sound. Lennon retorted, “George Martin didn’t make us. I’d like to see some George Martin music please.” Lennon was typical of his time—a time when musicians never really had much regard for the man behind the controls. Producers stayed in the shadows; music was about the artist. But today, the trend is reversed. In modern pop, a producer’s reputation often precedes the artist on account of a trademark “sound” that he can produce at the desk. And no other pop producer embodies this more than Timothy Moseley, aka Timbaland. Even if you haven’t heard of him, you’ve heard his music—it’s everywhere. Remember that infectious one string six beat melodic line on Missy Elliott’s Get Ur Freak On? That’s him. He’s on Justin Timberlake’s smash hit FutureSex/LoveSounds and Nelly Furtado’s Loose and Madonna’s Hard Candy. His sound of stuttering syncopated beats, clicks and blips over an R&B rhythm have pretty much become the de rigueur sound of pop over the last eight years. An East Coast rapper, Timbaland started making inroads into the charts in the late Nineties with a string of hit albums and singles with his “stable” of rap/R&B artists—Aaliyah, Missy Elliott and Ginuwine. By the early 2000s, this roster swelled to dozens of A-listers, with Timberlake and Furtado’s albums becoming superhits. 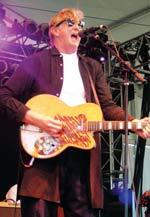 At the other end of the spectrum is 60-year-old T Bone Burnett. If Timbaland moved hip hop into the mainstream, Burnett galvanised the sound of roots music—country, folk and bluegrass. A veteran who played with Dylan in the Seventies, his star rose with his production work on the O Brother Where Art Thou? soundtrack for which he re-recorded a bunch of old time country and blues songs with contemporary artists like Alison Krauss. All of a sudden, Burnett was the rage. Anyone who wanted to make a rootsbased album with modern flourishes and atmospherics, called on Burnett’s expertise. Some of the biggest hits of this decade have been produced by him, including Robert Plant and Alison Krauss’s acclaimed 2007 album, Raising Sand and Cassandra Wilson’s 2006 blues album Thunderbird. Occupying the middle ground is Brian Burton or Danger Mouse. Another East Coaster, this beat mining phenomenon shot to fame with The Grey Album, his groundbreaking mash-up of The Beatles’ White Album and the rapper Jay Z’s Black Album. A man with an impeccable sense of mood and an ear for the unexpected, he has become the Indie producer of choice, producing Gorrilaz’ Demon Days, as well as critical and commercial smashes like The Good, The Bad and the Queen, The Black Keys’ Attack & Release and Beck’s Modern Guilt. The other thing that distinguishes the modern producers is that they write their own music. 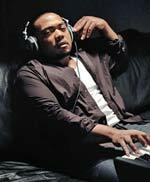 At first by himself, and now as part of a team with Justin Timberlake, many of the hits that Timbaland has produced have also been written and arranged by him. His latest album, 2007’s Shock Value was a Top 10 hit. Danger Mouse went one better, with his phenomenally popular 2006 album St. Elsewhere as one half of the duo Gnarls Barkley. Burnett has always been a recording artist with critically acclaimed albums like 1980’s Truth Decay or this year’s Tooth of Crime. You could argue that these pop mavericks are not without precedent. However, from the Sixties through to the Nineties, only a handful like Phil Spector or Brian Eno have had a similar cache as producers and songwriters as these three. The list of the celebrity knob twiddlers is increasing. Why, even the much maligned Sir George Martin has a hit mash-up album now.